Who doesn't love a nice cold glass of sangria in the summer!?!? We've mentioned this before (plus it's the title of this little ol' blog), but we kinda like wine. It helps that we live in the middle of wine country. We're so close, we've even rode our 4 wheeler to the winery. We really live in a beautiful area and the wineries around us are so scenic and relaxing! We even had our wedding reception at a winery just about 2 miles from our house. One of our favorite things about wineries is the SANGRIA! Can I get an "AMEN"???!!! This past weekend we whipped up a batch of our very own Sweet Sangria. You can really pick any kind of wine you want. 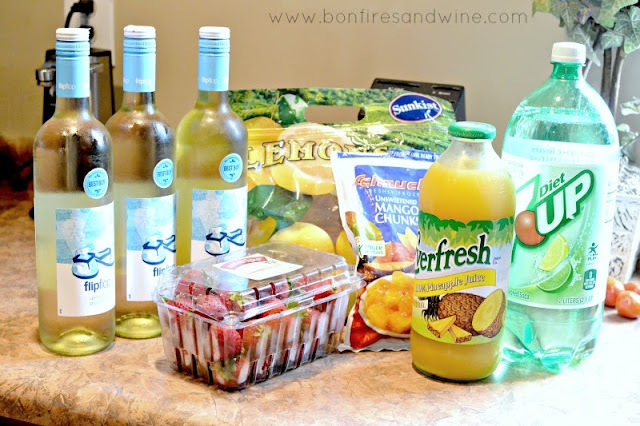 We used Flip Flop Moscato this time, but we love using our local apple flavored wine too! Throw it all in your pitcher and stir. Try it out and see what you think. You can always add more wine if you want it stronger or more juice or sprite if you want it lighter. You can't mess this up, folks. It's got a great sweet flavor and perfect for these hot, humid, sticky, summer days! 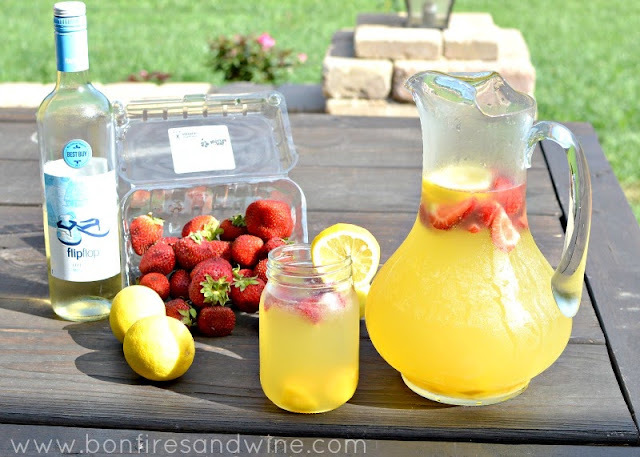 Do you have your own Sangria Recipe?? Ummm....why haven't you shared it with us yet??? Hi! I found you through the Monday Funday link party. I absolutely love Sangria. I would love it if you shared at my weekly link party, Manic Monday. Hope to see you there! Ahhh...perfect for summer! Thanks for sharing it at Monday Funday! 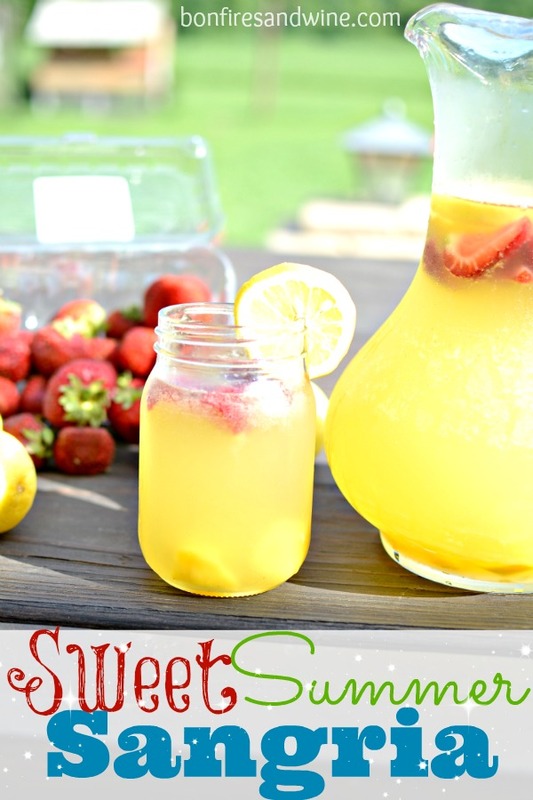 I love the idea of adding pineapple juice to sangria! yum! Hi Katie! We do too! It's the perfect combo! :) Thanks so much for stopping by! This looks SO good! I am known to love a delicious summer sangria... I'll be checking this one out for sure! Thanks for sharing it on Life Inspired! I am too! They are so light and refreshing! :) Thanks so much for stopping by! Yum! I am seriously picking up the ingredients to make this tonight! Thank you for sharing at Life Inspired! Yay! Hope you love it as much as we do! Thanks for stopping by! Hi Megan! Thanks so much for checking it out!